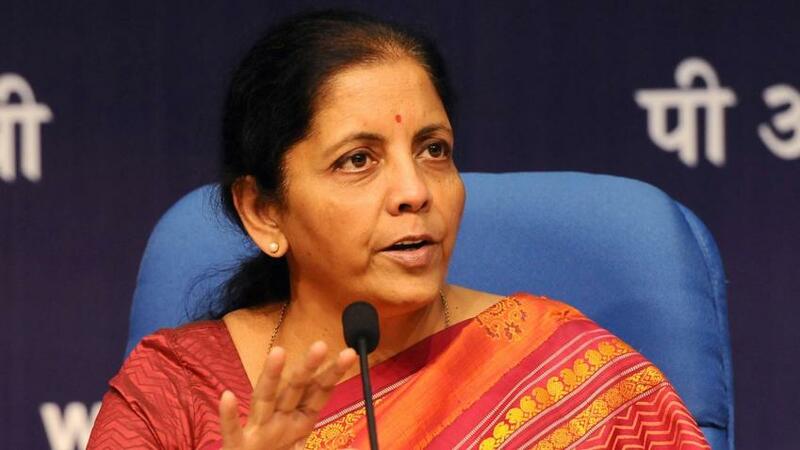 Minister Nirmala Sitharaman gives a statement in the Lok Sabha today on the orders given by the government to Hindustan Aeronautics Ltd which had led to a twitter war with Congress president Rahul Gandhi, yesterday. Defence Minister #NirmalaSitharaman charges Congress President Rahul Gandhi with misleading the nation on orders for #HAL. Defence Minister Nirmala Sitharaman has hit back at Congress President Rahul Gandhi after he accused her of lying about procurement orders worth one lakh crore rupees for Hindustan Aeronautical Limited (HAL). Ms Sitharaman said Mr Gandhi, is misleading the country. A war of words erupted between Congress President Rahul Gandhi and Defence Minister N Sitharaman on Twitter over the latters claim that Narendra Modi government had given contracts worth Rs 1 lakh crores to HAL. In a scathing tweet, Gandhi challenged Sitharaman to submit proofs of the said contracts in the Parliament or to resign from her post. Congress president Rahul Gandhi on Sunday alleged that defence minister Nirmala Sitharaman “lied” in Parliament that government orders worth Rs 1 lakh crore were provided to the Hindustan Aeronautics Limited, while demanding that she should either place the documents in support of her statement in the House or resign.Sitharaman hit back at the allegation saying it is a matter of “shame” that the Congress chief was “misleading” the country without fully understanding the issue. Gandhi’s attack came after a media report claimed that “not a single rupee of the said Rs 1 lakh crore has come to the HAL, since not a single order, as claimed, has been signed till now”. The media report cited senior HAL management officials in order to back its claim. “When you tell one lie, you need to keep spinning out more lies, to cover up the first one. In her eagerness to defend the PM’s Rafale lie, the RM lied to Parliament,” Gandhi tweeted. Further on war of words continued with, Congress president Rahul Gandhi keeps up the attack on the government over the decision not to choose Hindustan Aeronautics Limited as the offset partner in the Rafale deal. Anil Ambani’s group is the offset partner, and the decision to choose Ambani has come under severe criticism from the Congress. Rahul’s tweet today, referred to a report in the Times of India, on how HAL did not have resources to pay salaries any more. Rahul Gandhi tweeted: “That HAL doesnt have enough cash to pay salaries, isnt surprising. Anil Ambani has Rafale. He now needs HALs brilliant talent pool to deliver on his contracts. HAL has for the first time borrowed funds to pay salaries to its employees. The state-owned defence PSU has been facing dwindling finances which might lead to its operations coming to a complete standstill later this year due to lack of funds to make fresh purchases or pay its vendors, reports suggest. “Our cash in hand is in the negative, we’ve had to borrow close to Rs 1,000 crore as an overdraft (OD). By March 31 we’ll have minus of Rs 6,000 crore, which becomes unsustainable. We can borrow for day-to-day work but not for project purchases,” HAL CMD R Madhavan told The Times of India. This the first time in at least the past three decades that HAL had to borrow money, which has always been cash rich, Madhavan said. As of now, HAL is trying to get its overdraft limit extended from the current cap of Rs 1,950 crore, TOI said.